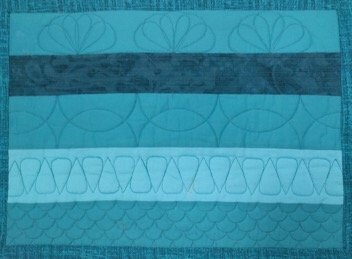 Quilting on small projects is a great way to hone your new home quilting skills. Grab some 3" strips of fabric and you will turn them into a colorful & intricate placemat. We will quilt the placemat with the Westalee Template Sampler Set.